Our journey starts in Milton Keynes where we take our luxury coach to London Heathrow Airport to check in for our Swiss flight to Geneva. Upon arrival at Geneva Airport and after immigration and customs, we take our luggage to the rail station luggage counter where it will be taken from here to your hotel for your convenience. 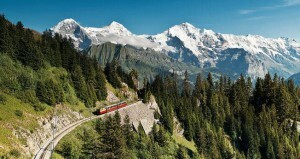 Our rail journey will take us to Wengen via Bern and Interlaken. In the morning we will take the train from Wengen to Wilderswil and fro m Wilderswil by cog railway up to the Schynige Platte. 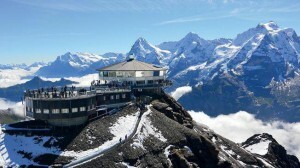 At the top, we can visit the Alpine garden and enjoy magnificent views of the Jungfrau mountains. There is time here to enjoy the views as well as to have lunch and we return again down the mountain and travel back to Wengen. In the afternoon, you can continue to explore the region at leisure with your tailor-made Swiss Card and receive 50% reduction on any boat, train, bus or mountain excursion. 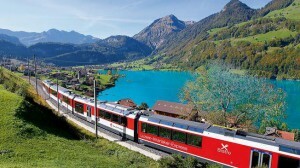 We travel by train from Wengen to Brienz on the shores of Lake Brienz. 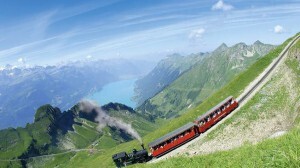 Here we board the steam hauled Brienzer Rothornbahn to the summit of the Rothorn. There is time here to enjoy the views as well as to have lunch and we return again down the mountain. We travel by boat (some departures are steam boat) to Interlaken where we re-join the train and travel back to Wengen. We travel to Mürren this morning from where we take the cable car and mountain railway to the top of Schilthorn and Piz Gloria – the revolving restaurant. There is time for lunch and to enjoy the 007 Bond World exhibition. We take the cable car down to Stechelberg and catch a bus through the Lauterbrunnen Valley. We return to the hotel in the afternoon. For your convenience, you luggage will be taken directly to your hotel in Lugano. We travel from Wengen to Lucerne by train via the Brünig Pass, where a local English speaking guide will meet us for a walking tour of the historical town centre. There will be some time for lunch before boarding the train to Lugano. When you arrive in Lugano in the afternoon, take the funicular down to the city centre and walk to the hotel where you will enjoy a welcome drink. Enjoy a morning walking guided tour of Lugano. You can explore the area with your Ticino Ticket for the rest of the day as this entitles you to use the public transport in the region free of charge. You can also get up to 50% discount on the mountain railways like Monte San Salvatore or Monte Brè with your tailor-made Swiss Card. 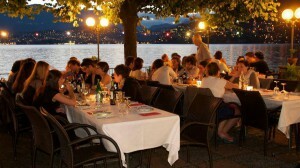 Lake Lugano for a very special evening where we will cook our own risotto in a typical grotto. There will also be plenty of local wine and other delicious specialities for dinner. Today we will take the train to Locarno, the beautiful Swiss town on the shores of Lake Maggiore. From there, a short funicular ride followed by a cable car will take us to Cardada, where you can enjoy magnificent views of the Alps and the lake. Overnight at Hotel Glockenhof in Zurich. 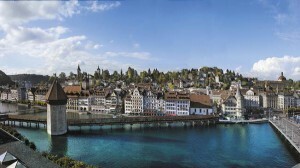 After breakfast at the hotel, a local English speaking guide will show you around Zurich city. 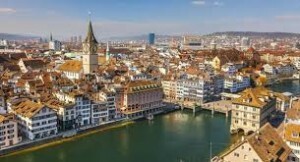 Enjoy your last hours in Zurich before travelling by private coach to Zurich Airport. Swiss flight from Zurich to London Heathrow where a coach will return you to Milton Keynes. 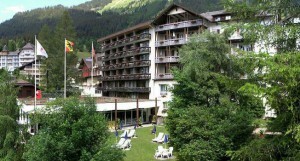 Luggage transfer (1 piece per person) from Geneva Airport to Wengen and Wengen to Lugano. A non-refundable deposit of £125 per person will secure your place.